Quite an excellent release from Apocalypse Sound! The core material consists, of course, of 2 70's Zappa appearances on NBC's "Saturday Night Live" show - both segments from what appears as 1st generation digital broadcast sources of the re-broadcasts. Audio and Video both superb. Also, these are not just the musical performances...we got all the skits that Frank was involved with plus the opening and closing segments of each episode which makes for an abbreviated but cohesive watch. 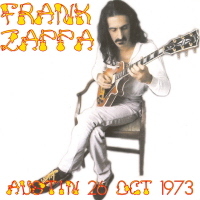 The earlier segment quickly establishes Zappa as the perfect guest - musical or not! His sharp wit and expressive and adaptable demeanor makes him either a perfect straight-man in the comedic sketches, or the perfect foil. A highlight from this earlier appearance is "The Killer Trees" sketch which finds Zappa in the middle of a police line-up with several potential "killer Christmas Trees" that are suspected in killing their owners whenever they hear "O' Tannenbaum". Stupid funny stuff. In the later appearance, Zappa's potential fully recognized at this point, he is nearly brought to tears in laughter participating in "The Coneheads At Home" and asked to "consume mass quanitites" of beer and chips with Dan Akroyd's character. And, "Night On Freak Mountain" is equally funny as Frank gets run off the road by a mudslide in torrential rain in the California Mountians driving from San Francisco to Los Angeles to get to a gig. He wanders into this big old mansion seeking help but the hippy "freaks" just want him to hang and smoke dope. 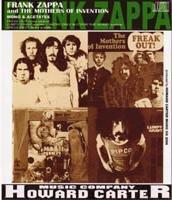 Throughout, Zappa keeps telling the freaks that he doesn't do drugs...and no one believes him. John Belushi is funny as hell - and he doesn't say a word as his character is on a "permanent Acid trip". It should be stated also that Belushi reprises his "Samarai" character in both episodes joining Zappa and his band performing some musical collections. First, providing some interpretive vocals - in character of course...and then a bit of an air-guitar and vocal workout with Zappa's custom Gibson SG. The Bonus Feature is a very nice touch, adding an excellent pro-shot segment of Zappa and band in Stockholm circa 1973, the performance likely filmed for a local Television Show. This seems to be a complete unedited version and it is cool to watch too. The songs themselves are typical Zappa non-sensical compositions lyrically, but the musicianship and the arrangments are really excellent. He is joined by Jazz Keyboardist, George Duke here as well. 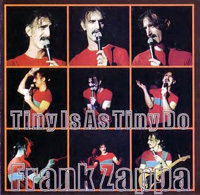 A great looking foldout DVD DigiPack houses this excellent release and any Frank Zappa collectors shouldn't hesitate in tracking this title down.